Accra, April 4, CDA Consult - The Ghanaian Automobile Market expected to pick-up gradually in the second quarter after marginal turbulence in the first quarter; Mr Kojo Annobil, Director, Sales and Marketing at Mechanical Lloyd Ghana Limited revealed in Accra on Thursday. He said market watchers expect trading in the second quarter to hinge up marginally due mainly to international market index and anticipated stability of the local currency against other currencies, as well as other economic indicators. 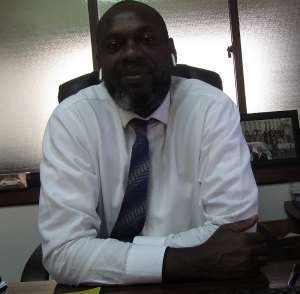 Mr Annobil in an interview on the performance of the Automobile Industry in the first quarter of 2019 said the industry pivots on three main clients; Government, Corporate and Retail. He said the Government mainly patronizes pick-ups; Sports Utility Vehicles (SUV) and other four-wheel vehicles and occasionally the saloon cars; whilst the Corporate clients mainly from the business environment also buys saloon cars, SUVs Luxury and pick-ups and the Retail market which depends on those who walk-in. He explained that the depreciation of the cedi in the first quarter created a huge unpredictable market environment, “even though the dollar price of a car remained static for long time, the volatility of the cedi makes it difficult for people especially workers to buy cars. “At the beginning of the year, with a loan of about GHC50,000.00 one could buy a car valued at $10,000.00 and still have some money to do registration and insurance, but in March even though the car was still valued at $10,000.00 one needed over GHC50,000.00 to buy it and still look for additional funds for registration and insurance”. Mr Annobil said the dollar value of the vehicles are pegged for a long time but the depreciation of the cedi is the bane of consumers, which pushes most clients to patronize second-hand cars. “We expect Government’s interventions and policies towards stabilization of the cedi to yield positive results; economic market depends on predictability, so if you cannot predict the value of your local currency against other currencies, then you are trouble,” he said. The Mechanical Lloyd Director explained that the company which is a fully owned Ghanaian currently holds franchises for BMW and Ford vehicles as well as Massey Ferguson agricultural machinery. It has held these franchises for over ten years. He said in spite of the unpredictability of the automobile market as a result of the weak cedi, Mechanical Lloyd has established itself as the leader in the Ghanaian Automotive industry. “We provide good quality products and service, competitively priced, and delivered in the most courteous and professional manner and securing for its shareholders the optimum return on their invested capital,” he said. Mr Annobil said the company would continue to maintain an environment where its human resources are provided with the opportunity to develop their maximum potential. He said Mechanical Lloyd also seeks to contribute meaningfully to the welfare of the community in which we operate from. He said the company has over the years been a benchmark for many industry players in Ghana in terms of infrastructure, equipment and staff strength. “We have not only set the benchmark in Ghana but also in West Africa, where BMW selected Mechanical Lloyd as its Regional Training Centre for West Africa. “This basically means that all BMW organizes trainings for BMW dealerships will be hosted at the ultra-modern BMW Regional Training Centre located at Mechanical Lloyd,” Mr Annobil stated. The company has undertaken several corporate social responsibility activities in areas such as education, water and sanitation, health care, corporate sponsorships promoting a particular cause and various customer satisfaction programmes.